Giveaway: Sweet Scarletts Texas Red Grapefruit | The Food Hussy! I'm trying to eat healthier and include more fruit in my diet. I'm just not a big fan of fruit - but I know it's good for me - half a grapefruit has 100% of your daily Vitamin C - so I need to give it more of a shot. Then the folks at Sweet Scarletts contacted me and sent me a couple of their new Texas Red Grapefruit. These are from the same folks that bring you POM Wonderful and Wonderful Halos - so you know the produce is high quality. They've just recently introduced these Sweet Scarletts to Cincinnati - so they should be in your local grocer case right now! Since they sent me a couple - I wanted to give it a shot. I went for simple - and sliced it in half and sprinkled it with sugar. I didn't have a "grapefruit spoon" but just used a paring knife to slice out the pieces a little more easily. I have to say - it was extremely juicy and not bitter (I guess that was my misconception). Grapefruit is also low-cal with only 60 calories in half. I had recently had grapefruit on a salad at Teller's and was really surprised by how sweet it was. Now trying it for breakfast - again - it's really sweet! Not sweet like an orange - but very good. The folks at Sweet Scarlett's have provided me with a gift basket giveaway for my readers! 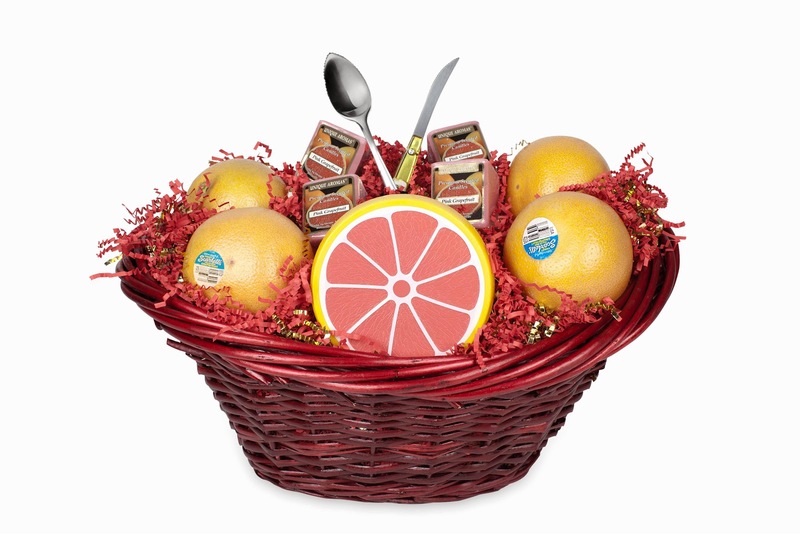 One of you will win a gift basket with Sweet Scarletts grapefruit, a grapefruit saver, grapefruit spoon & knife and grapefruit-scented candles.